TME’s offer has been extended with AXIOMET AX-58XB series digital multimeters with enhanced safety category (600V CAT IV) in comparison to the previous series - AX-58X. Those devices are equipped with large, backlit displays and are capable of measuring current rates of up to 20A. - allows detecting phase cords. - allows frequency and temperature measurements. 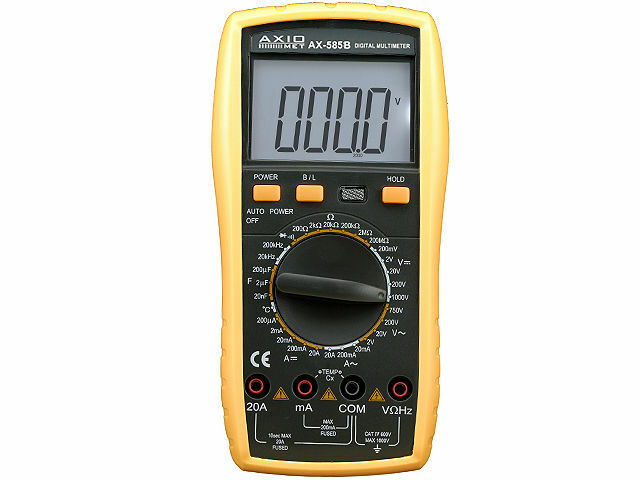 - measures inductance, frequency and temperature.